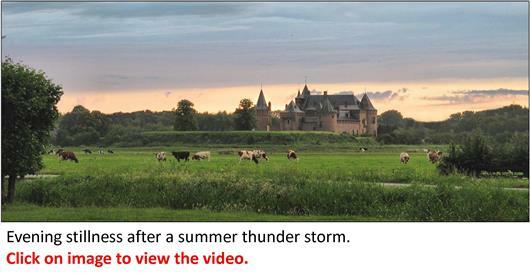 Muiden castle history in images. 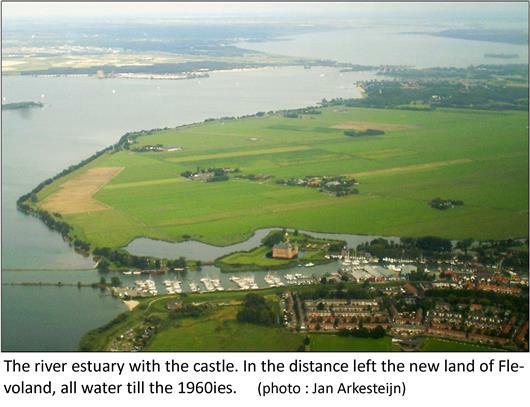 After Holland had conquered the mouth of the river, count Floris V built the first stone castle here. Not as a residence, but as a demonstration of force. 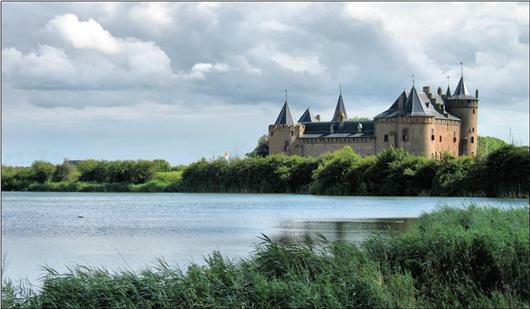 A few years later he was murdered not far from the castle, and Utrecht retook the land and the river. 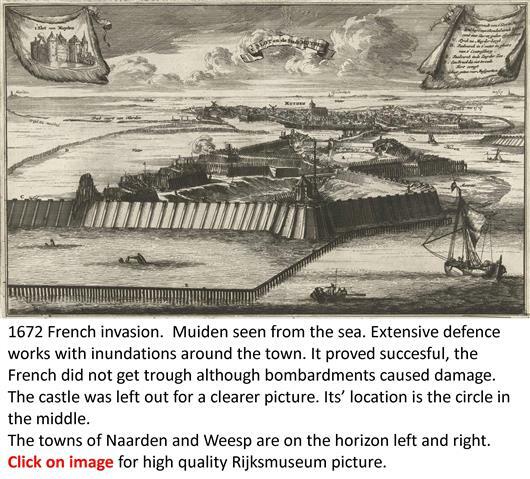 Immediately destroying the Holland stronghold. How the bishop butchered his goose with the golden eggs. 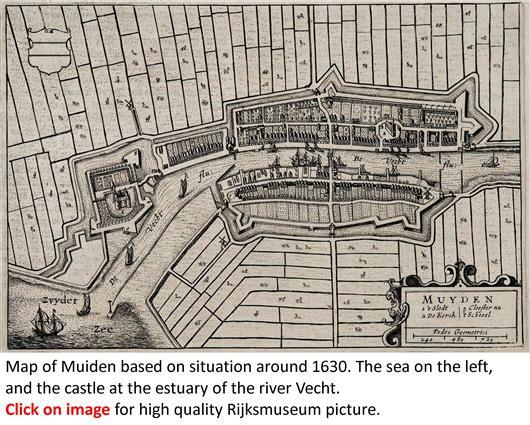 Muiden castle - a strategic location. 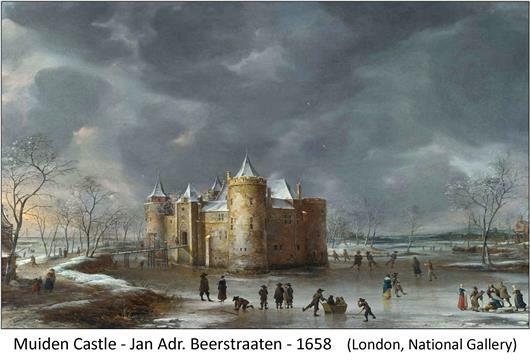 An interesting painting, this 17th century winter landscape. Some landscape components are represented with plenty of artistic freedom. But the castle itself is pretty accurate. For allowing to skate they must have had a severe winter. The sea was right here, behind the trees. Salt water, or at least brackish, and tidal influence.